Corey Lewandowski, President Donald Trump’s former campaign manager, was supremely unsympathetic when informed of a 10–year–old girl with Down syndrome being separated from her mother at the border. Lewandowski appeared on Fox News Tuesday to debate with former senior Democratic National Committee advisor Zac Petkanas about the Trump administration’s practice of taking children from parents crossing the border. Petkanas began sharing the girl’s story when Lewandowski cut him off to make his remark. The story of the 10–year–old girl was initially shared by Mexico’s Foreign Affairs Secretary Luis Videgaray at a press conference Tuesday. According to Videgaray, the girl’s father is a U.S. resident, but was detained a week ago and has been in an immigration detention center in McAllen, Texas. He said the girl and her brother are among more than 2,300 children who have been separated from their parents and held in government detention centers. The separation and subsequent holding of these children is a result of the Trump administration’s controversial “zero tolerance” policy that calls for criminal prosecution of anyone caught crossing the border illegally. Previous administrations handled such cases in civil court in order to avoid breaking up families, but Attorney General Jeff Sessions made the decision to change that in May and has refused to back down from it thus far. Lewandowski made another appearance on Fox News Wednesday morning, where he refused to apologize for his remark. 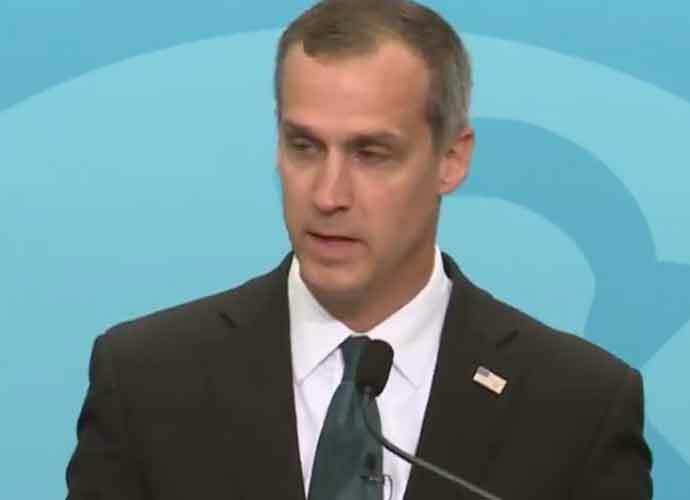 Lewandowski was fired from the Trump campaign in 2016 after grabbing a Breitbart reporter at a Florida news conference. Megyn Kelly, a former Fox News host now working at NBC, called Lewandowski a coward on Twitter.